This soup really doesn't need a story. It's potato-leek soup with a good helping of cheddar cheese. It's rib-sticking good. Warning: I tend to like hearty soups. The joke used to be that if a spoon didn't stand straight up in the bowl on its own, then I needed to add noodles. This soup isn't thick enough to hold a spoon up, but it's definitely not a broth. 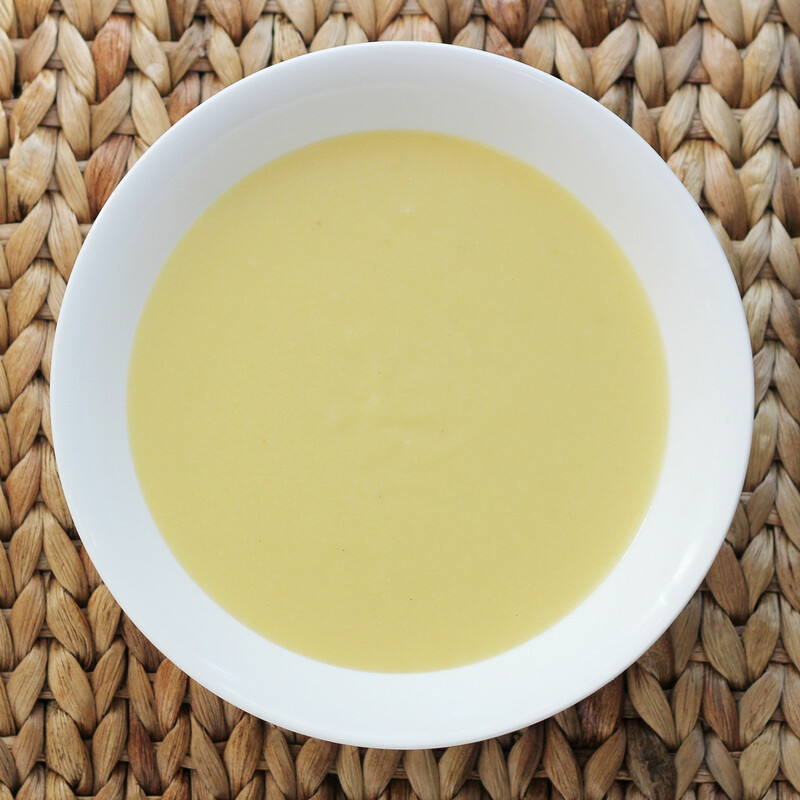 If you prefer a thinner soup, feel free to add more stock, milk, or water, to thin it to your desired consistency. Then taste for seasoning, because when you water it down, you might find that you need a bit more flavoring. When you refrigerate the leftovers, they'll thicken considerably, but it will loosen as it warms up. If you've never worked with leeks before, be warned. They can have grit and dirt between the layers, and much further down that you'd expect. You can cut them in half lengthwise and rinse between the layers, or you can slice them then wash the slices as you would spinach or lettuce, to remove the dirt. Put the potatoes, leeks, chicken stock, and bacon fat (if using) into a heavy-bottomed large saucepan. If the liquid doesn't cover the potatoes, add water, just to cover the potatoes. 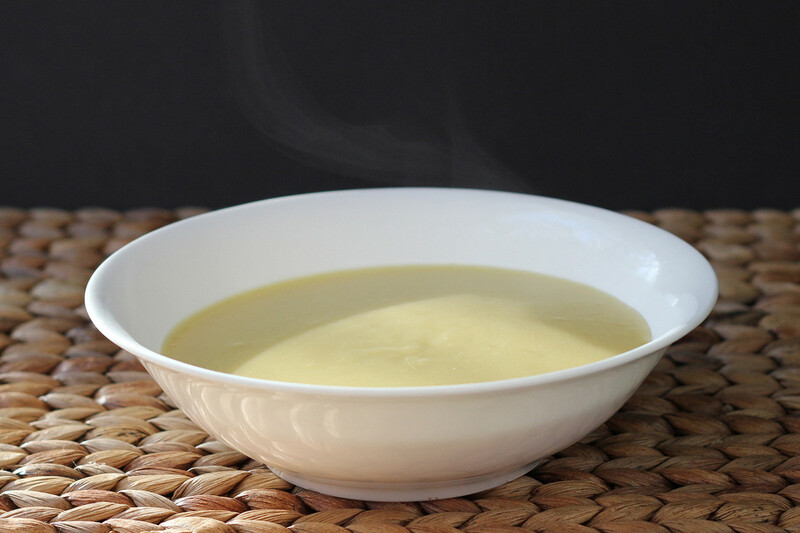 If you're using a low-sodium chicken broth , add 1 teaspoon of salt now. Otherwise, wait to season until later. Bring to a boil, then lower to a simmer. Cook, covered, until the potatoes are falling-apart tender. Add the milk and use a stick blender to puree the mixture. Add the pepper. Add the cheese, a small hand full at a time, stirring to melt it into the soup. Add more cheese as the previous addition is just about melted. When all the cheese is added, decide if you like the thickness, and add more liquid, if desired. You can add milk, stock or water. 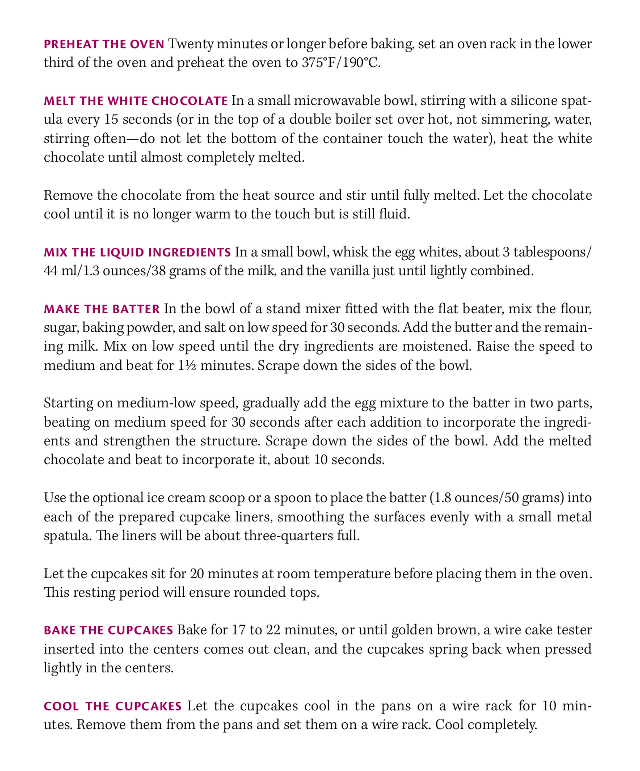 You want to make these cupcakes. Trust me, you do! 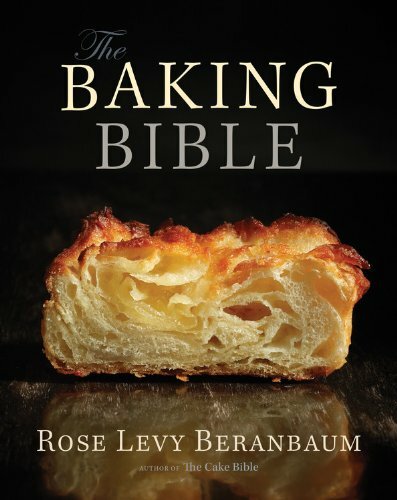 For more information about Rose Levy Berembaum's new cookbook The Baking Bible , see THIS POST. This recipe is directly from the cookbook, used with permission. All rights reserved. I've been a fan of Rose Levy Berenbaum's books for quite a while. I have quite a few of them, and I was looking forward to the release of her new book, The Baking Bible . So when I was offered an early release copy of the book, I was pretty excited. AND!!! I have goodies to give away! Check the end of this post! Not only did I get a book, I also got one of Rose's products to use - a collapsible silicone bowl from Harold Import Company. Sweet! 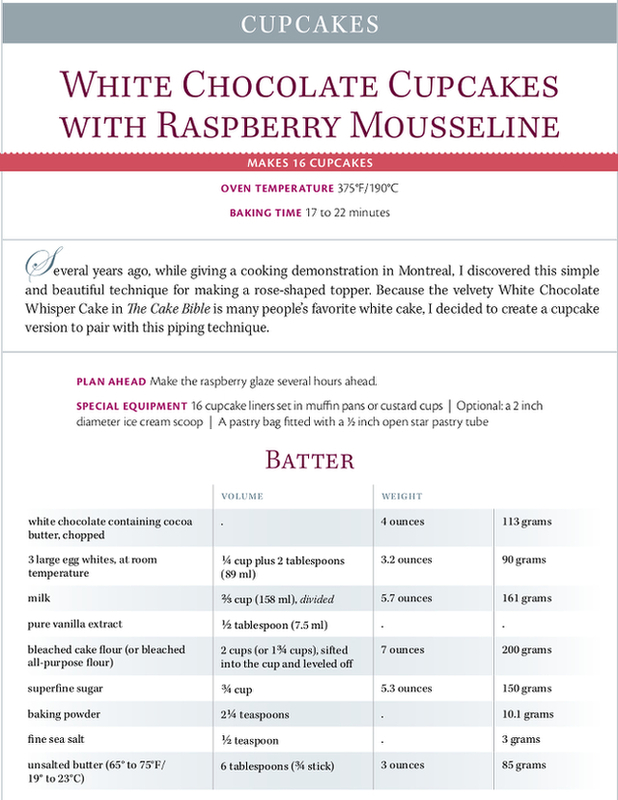 The recipe I made from the book was the White Chocolate Cupcakes with Raspberry Mousseline. I love cupcakes because they're easy single servings, and if I want to give some away, it's a neater presentation to give someone a few cupcakes than to give them a few slices of cake. And of course cupcakes are better for quality control. If you cut a slice out of a cake, it's obvious. But if you eat one (or, um ...two) out of a whole herd of cupcakes, no one ever knows. I'll admit that my cupcakes weren't as picture-perfect as I hoped for, but that's common up here at high altitude. Not everything works perfectly on the first try - or even the second. As usual, the cupcakes wanted to rise and spread rather than rise and stay, so the best tip I can give you if you're at high altitude is to fill the cupcakes a little less full. The recipe is supposed to make 16 cupcakes, but I got the best result when I made 22 cupcakes. They weren't tall and domed, but they weren't sunken, either, which is often the case up here. So I'll count that as a win. The cupcakes were really good and the texture was pretty amazing. Up here, cakes tend to grow large holes and be a little coarse-textured, but these were very fine-textured, and soft and fluffy, and pretty darned good. 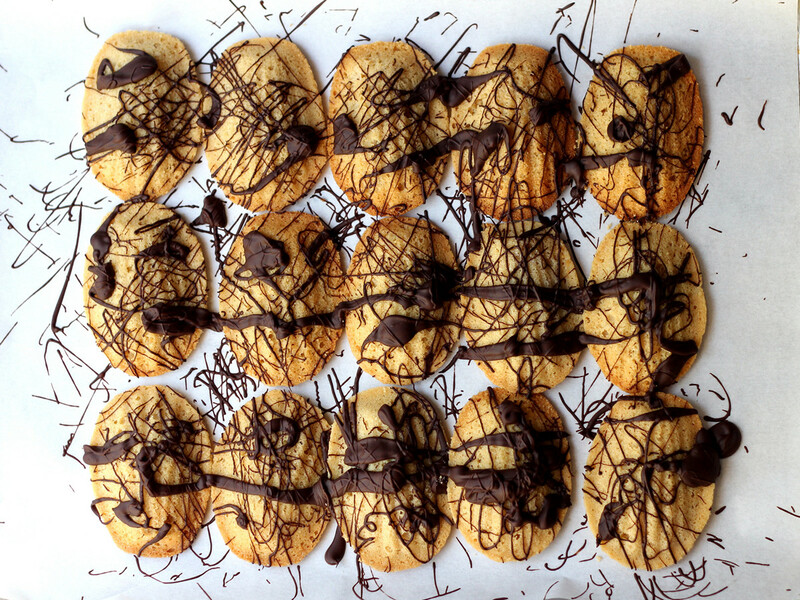 I plan on tweaking the recipe a bit to get them to behave perfectly at high altitude. 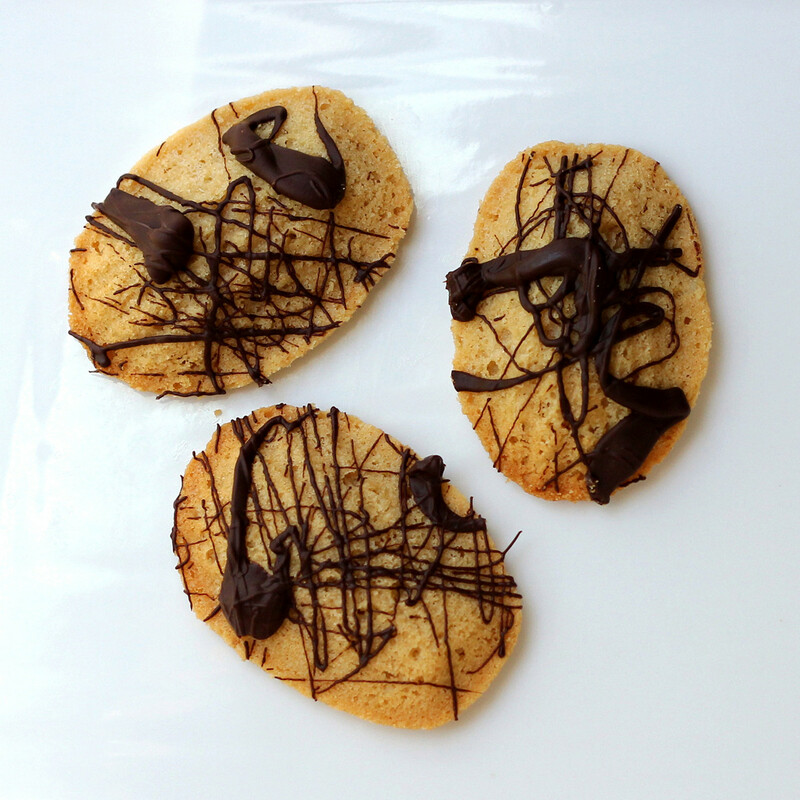 But I'd make them just like this again, no problem. But let's talk about this mousseline. I had no idea what I was getting myself into. The recipe looked pretty complicated. Several steps, including a raspberry sauce that needed to be made ahead of time. And a meringue. And some beaten butter. And the need for checking temperatures to make sure everything is correct. It sounded like a lot of work, but really it wasn't that bad when I followed the recipe step by step. None of it was really complicated, and it was very well explained. And it was totally worth it. Totally! I'm not usually a fan of frosting. Most of them are too sweet for me. Some buttercreams are okay, and I like a good cream cheese frosting when it's appropriate. But I'm the person who usually peels the excess frosting off of a cake and sets it aside. But this frosting was amazing! It was a little bit tart from the raspberry sauce, and a little bit sweet. It was fluffy and buttery and smooth and creamy and perfectly delightful. I, the person who doesn't really care for frosting, might have sucked the last dollop of frosting out of the piping bag when I was all done decorating the cupcakes. It really was that good. And I might have scraped the last little bits out of the bowl, too. But I'm not admitting anything. Nope. Speaking of raspberry sauce, the recipe makes a bit more sauce than you need, but it's pretty great stuff all on its own. It would be great on top of ice cream or pancakes or mixed into a cocktail or lemonade or a smoothie. Or brushed onto chicken or pork. So many uses. Mousseline is apparently another name for Italian Buttercream. I suggest you try it whenever you have a chance. Together, the cupcakes and frosting were a perfect combination. Way good. The recipe is quite long, so I've created a separate post for it right here. 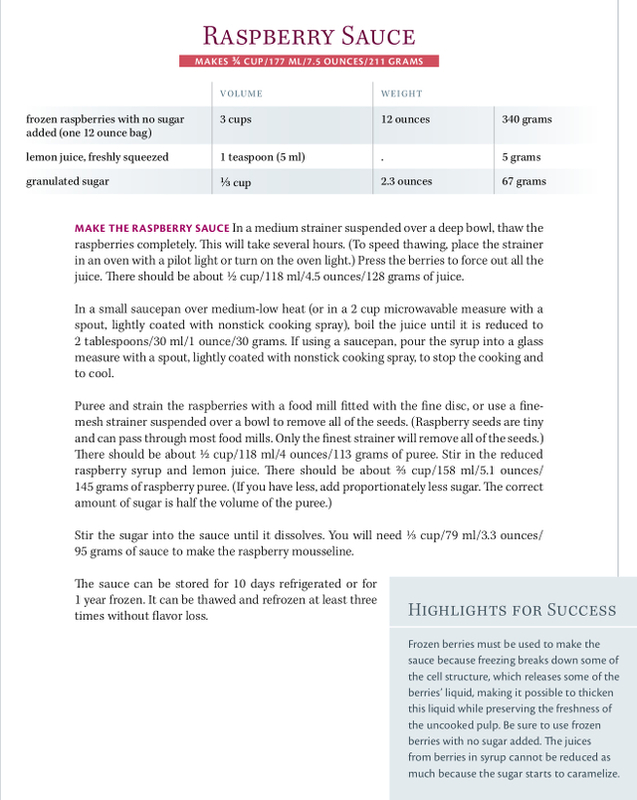 One thing I really like about this book is that the recipes include both weights and volume measures. While the weight-to-volume conversion for things like water or granulated sugar are pretty precise, flour weights vary a lot depending on how loose or packed the flour is in the measuring cup. 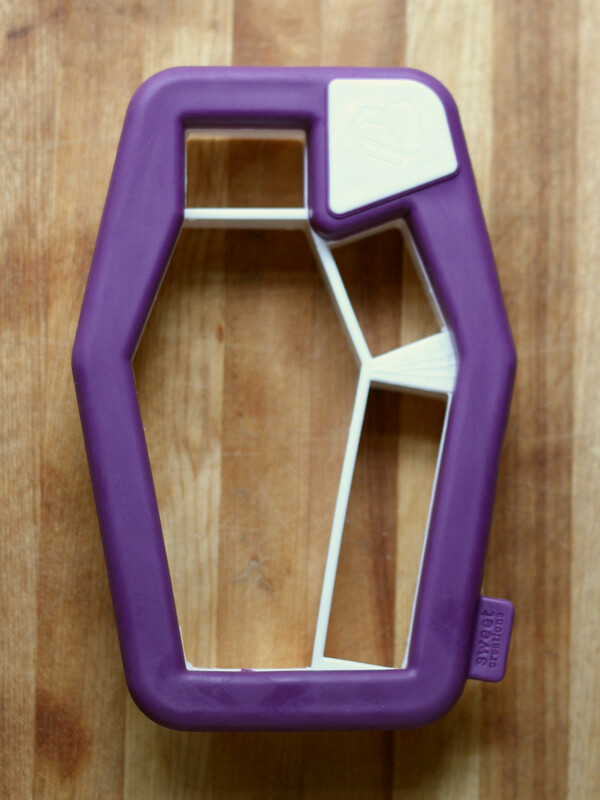 So, it's nice to have weights for flour, and convenient to have it for other things. This book isn't a lightweight - it's over 500 pages, with lots of recipes to ogle over and to bake. I've got a whole lot of them bookmarked and I've seen the results of some of them on other blogs. 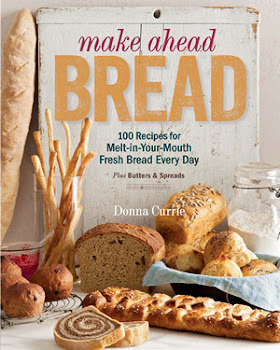 If you're looking for a baking book, this one covers everything from bread to cake to pastry, along with frostings, fillings, and other goodies. Check it out when you have a chance. I received a copy of the book at no cost to me. 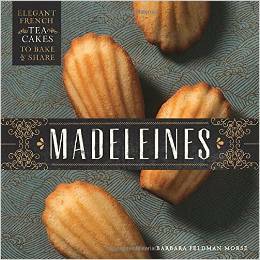 Want to see more recipes from this book? Check out these blog posts! Fall is here - and seems like it showed up early this year. And fall always makes me think of apples. I'm guessing that when you start talking about apples, the next things that most people think of are pie and cinnamon. Or apple pie with cinnamon. Or maybe applesauce ... with cinnamon. I know that cinnamon is the perfect companion to apples, but they don't always have to be paired. One of the best apple pies I ever made didn't have a single speck of cinnamon. 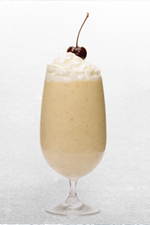 The flavor of the apples was predominant, and there was just a hint of vanilla to add warmth. So, when I agreed to make a seasonal bread recipe for #ThreeLoaves, I decided to use apples without cinnamon. This bread isn't sweet - in fact, it's a little tart because of the apples. 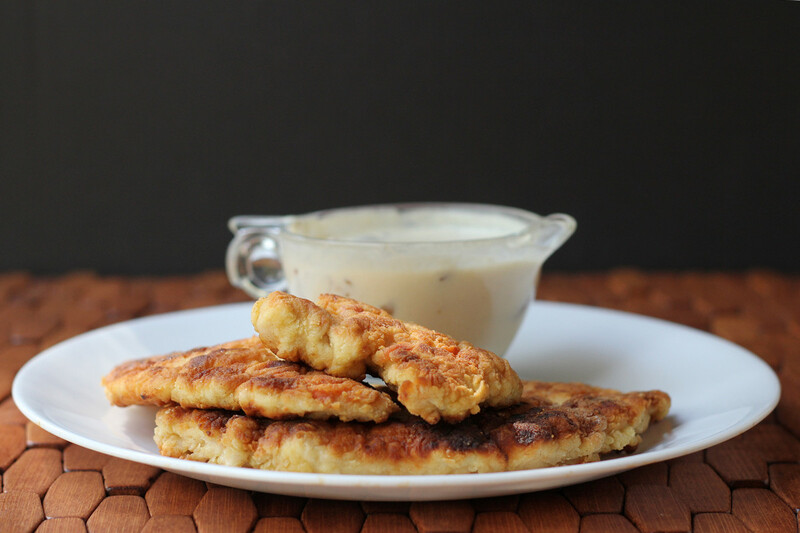 It's great for toast, fantastic for French toast, and amazing as a breakfast or brunch bread. But because it's not sweet, it's also perfect for sandwiches, particularly ham or roast pork. Or chicken or turkey or bacon. Melt the butter in a saute pan and let it bubble up a bit. Let it cook until it begins to brown a bit, then add the diced apples. Note: You can dice the apples any size that pleases you, but I suggest 1/4 inch or smaller, so they distribute throughout the bread and you'll have some in each slice. Cook the apples, stirring as needed, until the apples are cooked through, but not soft - you want them to hold their shape in the bread. Turn the heat off, add the vanilla, and set aside to cool. Put the bread ingredients in the bowl of your food processor, or into a large bowl if you intend on mixing and kneading by hand. If you're using an active dry yeast brand other than Red Star, and it has large granules, you'll want to let it soften for a minute or so in the water before you mix; if you're using Red Star, you can toss it all together without pausing. Knead the dough with the dough hook until it becomes elastic. Or, mix in a large bowl, then knead by hand. Once the dough is elastic, add the apples and all of the butter. Knead until the butter is completely incorporated into the dough. Cover the bowl and set aside until the dough has doubled in size - about an hour. Spray a 9x5 bread pan with baking spray and heat the oven to 350 degrees. Flour your work surface and turn out the dough. Knead briefly, then form the dough into a tight log about 8 inches long, to fit into the bread pan. Cover the pan and set aside to rise until the dough rises slightly above the top of the bread pan - about 30 minutes. 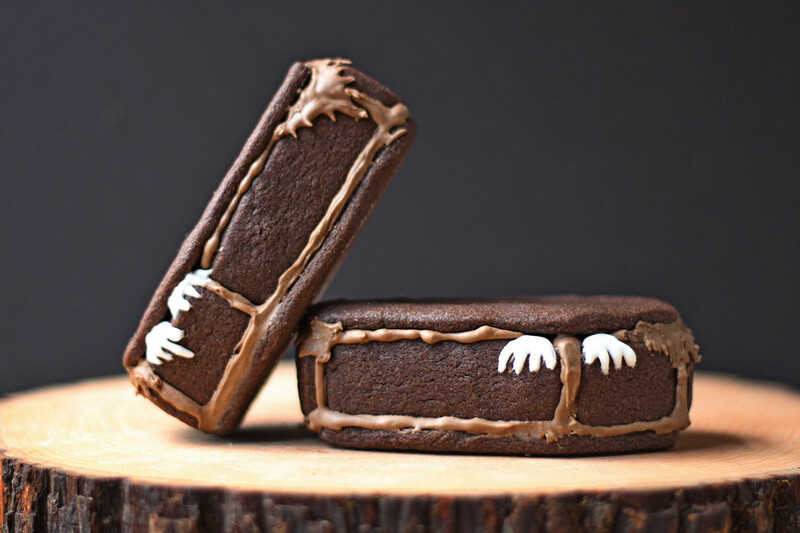 Uncover the pan and slash the dough as desired. Bake at 350 degrees until the dough is nicely browned and the interior of the loaf reaches at least 195 degrees on an instant-read thermometer - about 45 minutes. Removed the loaf from the pan and let it cool completely on a rack before slicing. White wine pouch is skinny because it's mostly gone. Hint: If someone offers me samples of wine or booze, there's a really good chance I'm going to take it. It's not that I'm a lush, but I like the occasional nip in the evening, and I like trying different brands and flavors. 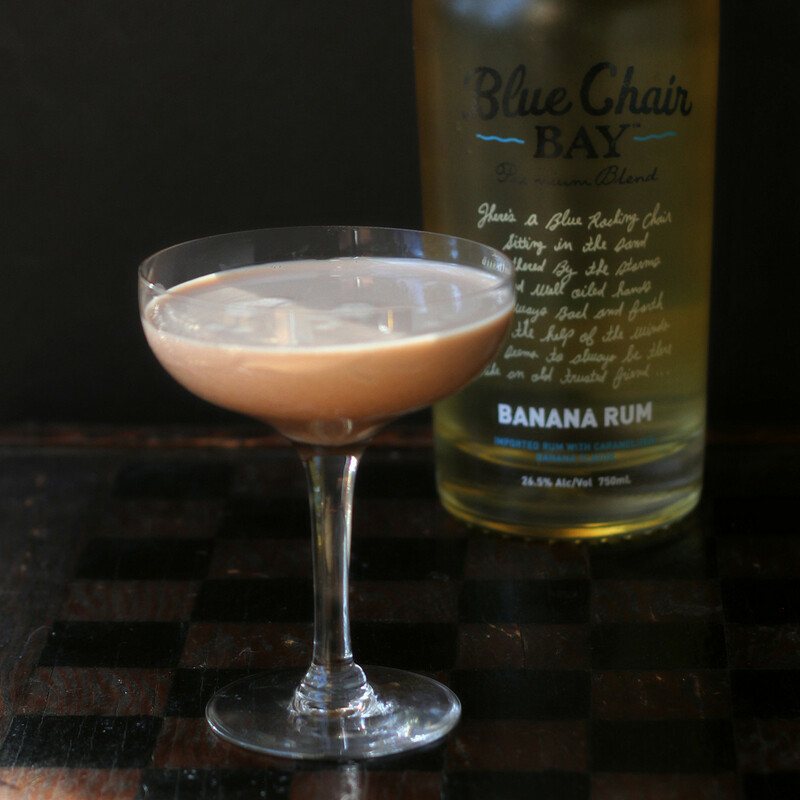 I also like cooking with boozy things. Wine is good in tomato sauce, chili, and stews, among other things. If I don't care for the wine, I use it to make vinegar. 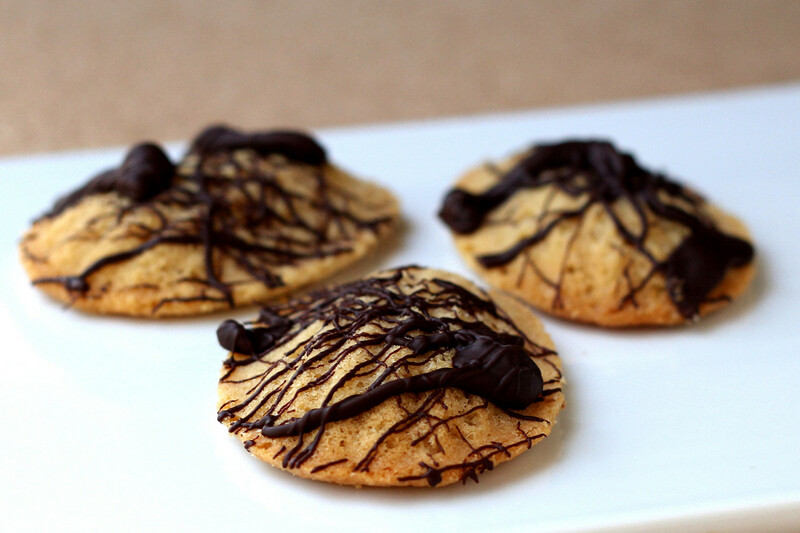 Hard liquor works well in baked goods, ice cream, marinades, and more. So when the nice folks at Bonfire Wines offered to send me wine, I said, sure, I'll take some. The first interesting thing about the wine is the packaging. It comes in stand-up pouches with a spigot for dispensing the wine. Since there's no oxygen - or very little - getting into the container, the wine stays fresh. It's a really neat idea, and the carbon footprint of this packaging is supposed to be a lot less than when glass is used. When I was looking up places to buy the wine locally, I found a few websites that talked specifically about the packaging design so I guess it's pretty unique. I've seen plenty of boxed and bottled wines, but I'll admit I've never seen any quite like this before. One thing I wondered about the packaging was how efficient it would be at getting all the wine out of the pouch, Would I need to cut it open to get the last 1/2 glass? I needn't have worried, The bag was completely flat and and empty when I was done with it, and it emptied easily, with no need for scissors. But, for me, it's all about the flavor. I received two different wines - a white wine called Ignite, and a red wine called Ember. The white wine disappeared first. It was slightly sweet, but not as sweet as something like a moscato. I liked it a lot. I'm not enough of a wine snob to talk about intricate details, but it was a light, drinkable, happy wine. I needed a little bit of red wine for a recipe, so I opened the Ember and sampled it. I'm usually not a red wine drinker because it tends to give me headaches, but I had no adverse reaction to this one at all, so that's a huuuuuge bonus. Each pouch holds the equivalent of 2 normal bottles of wine, and since the pouch is so thin, it cools faster that a bottle. The really nice thing about the pouch is that since it's not an open bottle full of wine, you can use some wine for drinking or cooking and not have to fret about using it all as fast as possible. I really didn't notice any flavor change over the several days it took me to finish each pouch. The other really nice thing about the pouch is that as you drink the wine, it gets smaller, so it doesn't take as much space in the refrigerator. I actually rolled up the top of the white wine pouch to make it fit in a less-tall space. You can't do that with a bottle, that's for sure. I found one of these wine varieties locally for $15-18 for a pouch. So far, it's just available in a few states, but I have a feeling you'll be seeing it expanding into other markets. So ... do you like the pouch idea? Or do you prefer bottles? 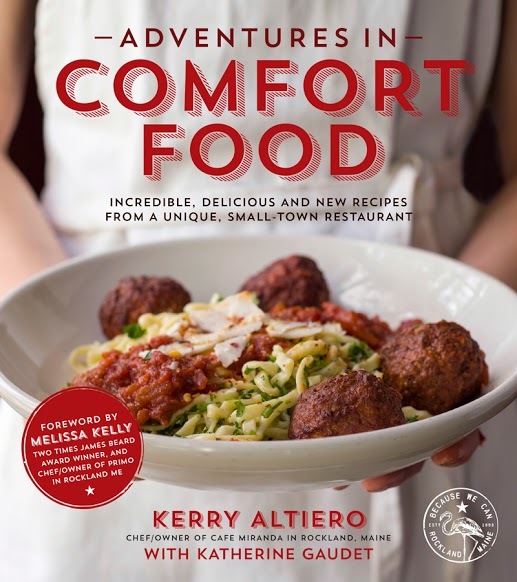 When I agreed to participate in a blog tour for a book with "comfort food" in the title, a number of things came to mind. Pasta with a tomato sauce was high on the list. So when I saw this recipe for bolognese, I knew I had to try it. This isn't typically how I make tomato sauce for pasta, but then again, I'm not Italian. When I went to the store for supplies, there was no veal to be found except for some tiny chops that cost more than my mortgage. The butcher said they stopped carrying the ground veal because of quality issues. There was also a celery shortage, but I averted that disaster by buying celery sticks that were cleverly hidden in the prepped-foods area, along with must-haves like pineapple chunks and asparagus packed with lemon slices. As for the veal, there was nothing I could do except buy something else. I briefly pondered using ground turkey or chicken, but then decided to use beef. So that's what I used here. If you can find veal, then by all means, use it. But beef worked just fine, if that's holding you back. The one thing I quibble with here is the serving size. This might feed 3-4 people if they're all teenagers or athletes, but around here a half-pound box of dry pasta is good for 4-6 servings. Then again, we probably don't eat as much as the average person. So take my thoughts with a grain or two of salt. Neil Anderson was the second chef I ever hired. He came into the restaurant one day, turned to the waitress and said, “I want to work here.” We took him on. During Neil’s first summer, I told him we were going to make Bolognese sauce. “Right," said Neil. "We are making Bolognese, and you are going to go sweat over it." He was not incorrect that heavy, long-cooked meat sauces are not entirely appropriate for the dog days, but I am contrary. Neil is now a professor of languages somewhere, and every summer we make this out of season in his honor. 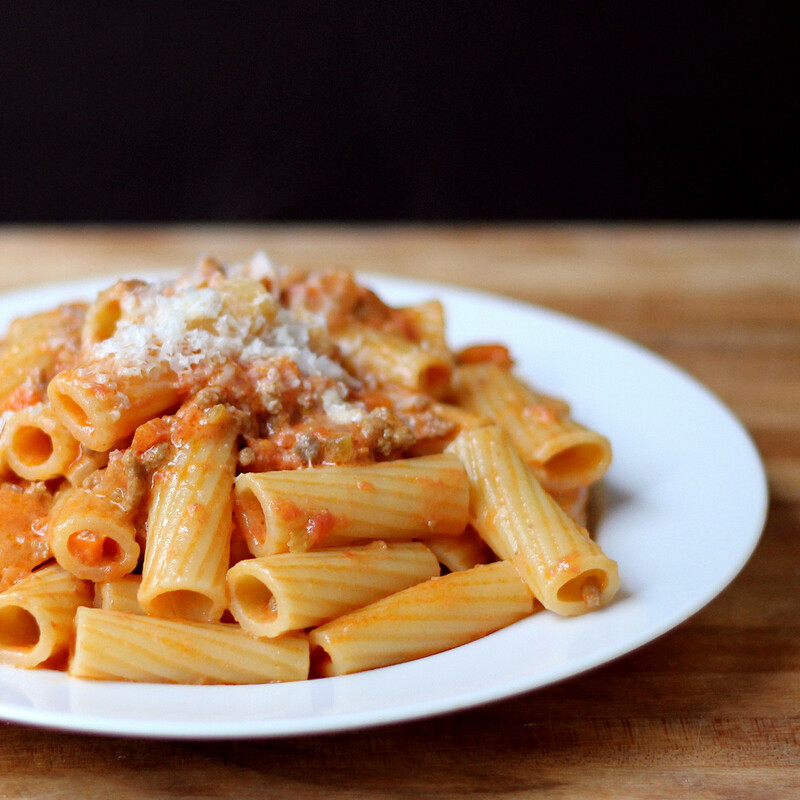 This is our version of a traditional Bolognese: a meat sauce flavored with a bit of tomato. It is not the red sauce with meat that sometimes gets called by the same name. Through long cooking, the meats gain a velvety texture and a flavor so addictive that you won’t be able to stop eating it, no matter what the weather. Look for more bloggers posting more recipes from the book, including: FAB Bowl of Meet, Steak Bomb, Wontons from Space Deconstructed Nachos, Woo-Tang Clam, Fish Hash, Vacation in your Mouth, Jerry Fries, and Steak House. Did I mention that some of the recipe names are quirky? Why, yes they are. Place a 4-quart/4 L nonreactive pot over medium-high heat. Heat the olive oil and add the garlic; fry until the cloves are almost golden, 4 minutes. Add the fennel seeds, count to 3, and drop in the onion, celery and carrot. Sweat the vegetables in the olive oil until they are sweet and the garlic is soft, about 10 minutes. Add the veal and pork, breaking up with a spoon to distribute the meat and vegetables as evenly as you can (you’ll mash it later). When the meat is cooked (it should take 10 to 12 minutes) add the tomatoes, tomato paste and 1/2 cup/118 ml of water. Turn down the heat to low and simmer for at least an hour, preferably 2. Mash with a potato masher to break everything up until it looks like a sauce. For this dish, I prefer boxed rigatoni (not homemade noodles). Add the cooked noodles to the pot of sauce and stir carefully so that you don’t break any noodles. Distribute onto plates, pour some red wine and eat. Chef’s Tip: For foolproof seasoning: Remove a small amount of the sauce and add some salt and pepper until it tastes perfect. Using this as a guide, add salt and pepper by small amounts to the pot until it matches the sample. Recipe by Kerry Altiero and Katherine Gaudet from Adventures in Comfort Food: Incredible, Delicious and New Recipes from a Unique, Small-Town Restaurant. Printed with permission of Page St. Publishing. I received the book from the publisher for the purpose of this book tour. This recipe has a lot of oil - there's 1/2 cup at the beginning, along with the fat from the meats you use. If you're bothered by that amount of fat, the easy way to get rid of it is to refrigerate the finished sauce. The fat will rise to the top and harden a bit, so you can remove as much as you like. Leave at least a little - there's flavor in fat. I left it as is, and once the cream and pasta were added, it just sort of disappeared. I was a little concerned about the whole garlic cloves - I didn't like the idea of someone eating a whole clove with their pasta, so I hunted them down in the finished sauce and made sure they were smashed. If I make this again, I might dice or slice the garlic thinly rather than leaving it whole. Maybe. The admonishment about not adding the cream if you're going to reheat has to do with the possibility that the cream could curdle. I have the same problem with a tomato soup I make. The solution is to heat the sauce slowly and gently, and never let it boil. If it does boil, you're doomed. The cream is probably going to curdle. It's still edible, but it's not pretty and it the texture is grainy. So, if you make the sauce ahead, or if you have leftovers, heat gently to warm it, but don't boil it, and you should be fine.